It seems these days like everyone has an opinion. And thanks to digital tools, they have countless ways of sharing them. For business owners, this means that word of mouth, both positive and negative, can spread across social media and the Internet, coloring a particular brand or business in an instant. It’s something every business owner should watch carefully and these tricks, tips and tactics will make managing the positive, negative and useless reviews that much easier. 1. Make it a priority. While larger businesses can afford to hire a team to watch online reviews and reactions 24/7, new business owners need take matters into the their own hands. Create a schedule that’s consistent, but manageable, say our experts. This might be daily or weekly depending on the volume of reviews and mentions you receive. Just make sure you have some plan in place. 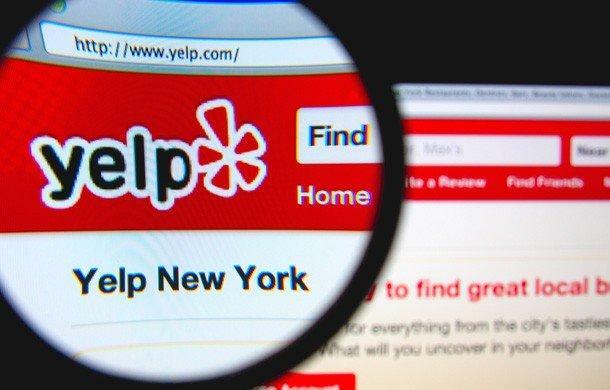 Says Jayson DeMers, founder and CEO of AudienceBloom, "The biggest mistake is simply failing to monitor reviews in the first place," he says. 2. Know your tools. Marketing consultant Brian Honigman highly recommends digital tool Mention which alerts you to all of your recent mentions across platforms like Twitter and Facebook as well as the web. "It allows you to react quickly and take feedback into consideration and point your team on the right course of action and continue to analyze this data and react from there," Honigman says. Tools such as Google Alerts and Talkwalker can also help you track web mentions, notifying you whenever select keywords related to your organization are used online. Honigman likes to use Talkwalker to keep on eye on the competition. "If you want to do research on one of your competitors, you can enter keywords relevant to them and see where they're popping up on the web," he says. For more specific needs, Siu recommends Hootsuite to monitor Twitter and Newsle to keep an eye on major news publications. Since you're most likely a team of one, automate your processes as much as possible. For this, Siu suggests Zapier, a service which ties various disparate tools together, helping to eliminate extra steps and platforms to check. 3. Engage carefully. Should a negative comment emerge, find a way to turn it into a positive. "It's really important to respond to the negative stuff as a sympathetic, real human," Honigman says. "Say, 'I'm sorry you're upset, how can we fix this’?" DeMers concurs, saying that a particularly negative review can do massive damage to your brand if left unchecked. "Negative reviews can spread like wild fire on the internet," he says. He suggests you reach out with the aim to win that customer back. "[A big mistake] is to ignore negative reviews or respond defensively or insultingly to them," he adds. Although negative feedback should require the bulk of your attention, don't be afraid to respond to positive word of mouth. "It's fine to ignore positive reviews, but it's even better to replay them with a sincere thank you," DeMers says. Honigman suggests personally reaching out to blogs or sites who write personal reviews and form a relationship. Networking like this opens you up to not only potential business opportunities, but better SEO practices as you share each other's work. "Let it be known that you're grateful for the time that person or organization took for bringing your business a little visibility," Honigman says. But most importantly, make sure you know how to separate actual negative criticism from online noise. Use common sense to discern if you're just being "trolled" or are simply dealing with an irrational person. "If it is unconstructive, rude, abusive or just someone talking for the sake of talking, use your better judgment," Honigman says. In this case, attempting to please someone who won't be pleased can make you look desperate and damage a young brand. It's better to move forward. 4. Keep your focus. Although it's vital to monitor reviews and respond as professionally as possible, Siu says that business owners in their early stages shouldn't let online reviews distract them from the real work of running their business. Says Siu, "You have much bigger fish to fry, like bringing in new revenue. You need to be focused on growth." And by concentrating on quality customer service, you’ll prevent many negative reviews before they occur.